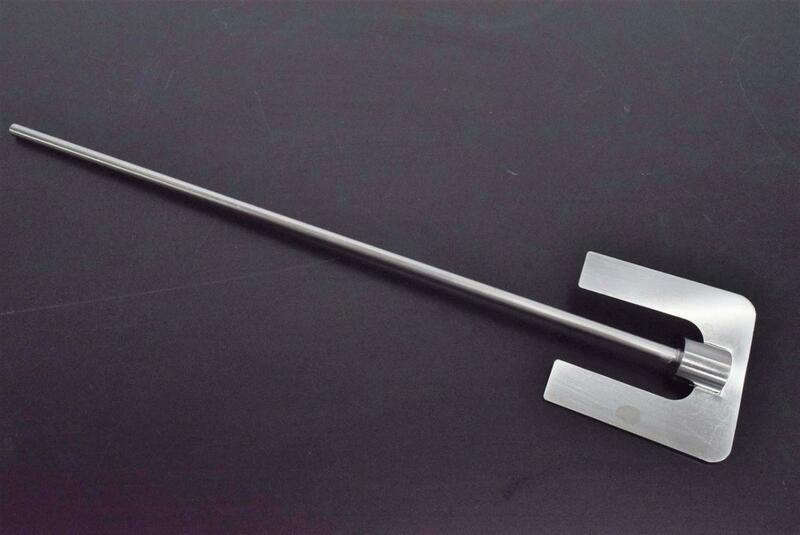 Laboratory Anchor Paddle for Homogenizer Stirrers Stainless Steel 20.5"L x 4"W . New Life Scientific, Inc. This anchor paddle is in excellent cosmetic condition. It’s made with durable stainless steel for years of use. The shaft with the paddle is 20.5 inches in length x 4-inch width paddle. The diameter of the shaft is 0.8mm (approx 3/8”). You can browse our eBay store as we have several of these available and could make a package deal. All have a 0.8mm diameter shaft (approx. 3/8”). All are made with durable Stainless Steel.